When opening the WinForm in Design mode the ribbon control errors and I have to end up restarting VS. This can happen from just opening the form, or changing something and trying to save. 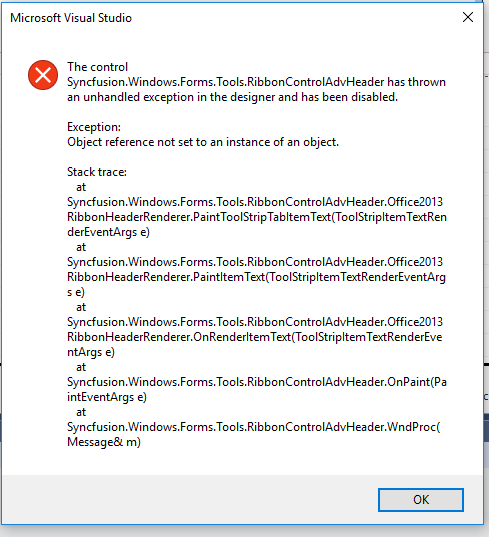 We are unable to reproduce the reported exception in the designer. In order to check further a support incident has been created under your account to track the status of this requirement. Please log on to our support website to check for further updates.